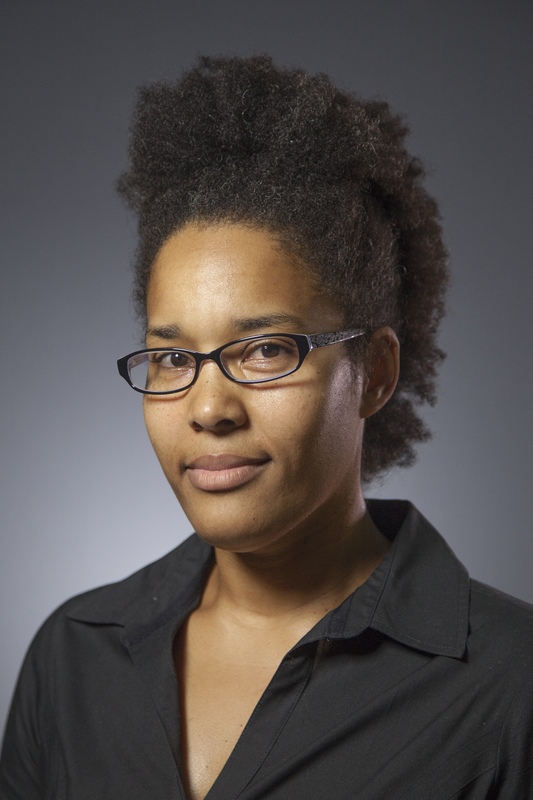 Kristie Dotson is an Associate Professor of Philosophy at Michigan State University and a Senior Fellow at the Center for Intersectionality and Social Policy Studies at Columbia Law School. She is part of the coalition #WhyWeCantWait that attempts to challenge the way current visions of racial justice are constructed to outlaw open concern for women and girls of color. In her academic work, she researches at the intersections of epistemology and women of color feminism, particularly Black feminism. Dr. Dotson edited a special issue on women of color feminist philosophy for Hypatia: A Journal of Feminist Philosophy entitled, Interstices: Inheriting Women of Color Feminist Philosophy (29:1, 2014) and has published in numerous journals including Hypatia, Comparative Philosophy, The Black Scholar, Transactions of the Charles S. Peirce Society and Social Epistemology. Dr. Dotson is working currently on a monograph entitled, How to Do Things With Knowledge. I found myself in professional philosophy quite by accident. Really, it was all an accident. I completed undergraduate majors in African American Studies, Business Administration, and English. I never took one philosophy class as an undergraduate. I, then, went onto complete a Master’s degree in English Literature. I took several “theory” classes in the pursuit of this degree, and not one of them was a philosophy class. Everybody who has devoted serious time to studying philosophy has faced a series of questions, essentially asking, “Why philosophy”. The main difference being just this: they probably had better answers for them than I did. I had no idea how to begin to answer the question of “why philosophy?” I’d never taken a philosophy class before! My decision to pursue a career in philosophy was the result of advice that if I wanted to have an academic career studying “theory,” then I needed to get out of English and into philosophy. At the time, literary theory jobs were tapering off to nothing. Philosophy, or so I was told, held more promise. Yes, reader, you read that correctly. I went into professional philosophy because there were more jobs in philosophy than literary theory (which was true then and is, most likely, true now). Of course, this momentous decision was helped by the fact that I trusted my advisor and was relatively young. The young part being extremely important here. Imagine my surprise in my first year of graduate school. Now, before I say more, let me be clear, I am no stranger to critically analyzing the work of others. I am from literature after all. Most folks are trained to be literary critics of some sort. No, the fact that we were expected to bring a critical eye to texts didn’t bother me at all. What surprised me was how little recognition there was in the discipline of philosophy that the primary training it offered was best suited for the role of critic. What’s more, it shocked me that there was no corresponding “creative” arm to the field. English Literature has Creative Writing, right? Art History and Criticism has, I don’t know, Art, right? Philosophy has what? No, really, what is a creative arm for philosophy? My lack of “proper” philosophical indoctrination as an early student made the absence of a notable “creative” field for professional philosophers particularly surprising. What were we studying? Where is it made now? How is it made? Who gets to make it? Is it “made” at all? The institutional positioning of English Literature and Creative Writing helps to create a context where roles and work may be more clearly defined than in disciplines where no such positioning exists. One does not have to know how to define Literature to justify the existence of a critic culture. The relationship between writing and criticism is institutionally inscribed. Regardless of its limits, and it does have limits, this made sense at least. This provided the ability to be creative with those degrees by pointing to skill sets people expect the degrees to have fostered. As a newbie to philosophy, I never really caught on to what it was a Philosophy PhD was supposed to train you to do. It is, in part, a professional degree after all. It is supposed to lead to some kind of job, right? Philosophy, it seemed, was a bigger risk than I’d imagined. I stuck with it though, primarily because my “why not” rationale was hard to kill. Let me tell you what I do: I use philosophy to help support, generate and defend research, advocacy and activism that might change the current plight of Black people in the US, particularly promoting better conditions for Black cis- and trans* women, girls and gender non-conforming people. In other words, I am a Black feminist professional philosopher working in the service of Black feminist agendas. For me, examining the discipline of philosophy itself could not answer the question, “why philosophy.” Not particularly surprising. The “why” of literary criticism is related to the existence of creative writing, even if it is not only or even primarily about its more pervasive cousin. The same might be said of art criticism and art. The discipline of philosophy does not have this structure and, quite possibly, rightfully so. It is possible that philosophy is always in the service of something other than itself. So the answer I have stumbled upon to “why philosophy?” is simple really. I do philosophy because it can be engaged in and created from the position of service. This is not a claim to uniqueness, it is simply an explanation of the way I have come to understand myself as a professional philosopher. I do philosophy from the position of service. When a Black feminist social scientist approaches me with the need for a theoretical framework that facilitates the ability to do research on Black women that does not presume a serial pathology, for example, I engage with them. I try to get a sense of what they need in a theory and whether, from my area of specialization, i.e. epistemology, I can help. If I can, then I write up a theory for them. One that I believe in, but one that first and foremost serves a purpose. I wrote 5 articles to be used by particular Black feminist social scientists for their theoretical frameworks and, in doing so, furthered Black feminist research in general. When I realized that a particular epistemological inquiry was developing in such a way as to foreclose the robust development of Black feminist investigations in that inquiry, as was the case of the early development of epistemic injustice, I wrote to make space for such endeavors. I wrote 3 articles attempting to “hold space” for the possibility of Black feminist interventions in epistemic injustice work. When advocating for the recognition of the plights facing Black girls in the US, in the #WhyWeCantWait Campaign, I used the way I think about knowledge to identify ways knowledge was being used against us. That is to say, I put my epistemology training to work for the sake of Black feminist activism. I am currently writing a book, tentatively entitled, How to Do Things with Knowledge. In the end, this book attempts to provide a record for other people with similar questions and interests of what I have learned and continue to learn living and working as a Black feminist, epistemology-based activist. I do this so that they can begin or continue their journeys with more tools prepared and far more work to do. So “why philosophy?” I suppose the answer is still, “why not philosophy,” but there is a great distance traveled (both in terms of work and privilege) from my first utterance of that phrase to this one. Kristie Dotson, “Tracking Epistemic Violence, Tracking Practices of Silencing,” Hypatia 26, no. 2 (2011); “Black Feminist Me: Answering the Question ‘Who Do I Think I Am’,” Diogenes: Journal of the International Council for Philosophy and Humanistic Studies 59, no. 1 (2012); Kristie Dotson and Marita Gilbert, “Curious Disappearances: Affectability Imbalances and Process-Based Invisibility,” Hypatia 29, no. 4 (2014); Kristie Dotson, “Conceptualizing Epistemic Oppression,” Social Epistemology (2014). And “A Cautionary Tale: On Limititng Epistemic Oppression,” Frontiers: A Journal of Women Studies 33, no. 1 (2012). Dotson, Kristie. “Black Feminist Me: Answering the Question ‘Who Do I Think I Am’.” Diogenes: Journal of the International Council for Philosophy and Humanistic Studies 59, no. 1 (2012). ———. “A Cautionary Tale: On Limititng Epistemic Oppression.” Frontiers: A Journal of Women Studies 33, no. 1 (2012): 24-47. ———. “Conceptualizing Epistemic Oppression.” Social Epistemology (2014). ———. “Knowing in Space: Three Lessons from Black Women’s Social Theory.” Labrys 22 (2013). ———. “Tracking Epistemic Violence, Tracking Practices of Silencing.” Hypatia 26, no. 2 (2011): 236-57. Dotson, Kristie, and Marita Gilbert. “Curious Disappearances: Affectability Imbalances and Process-Based Invisibility.” Hypatia 29, no. 4 (2014): 873-88.